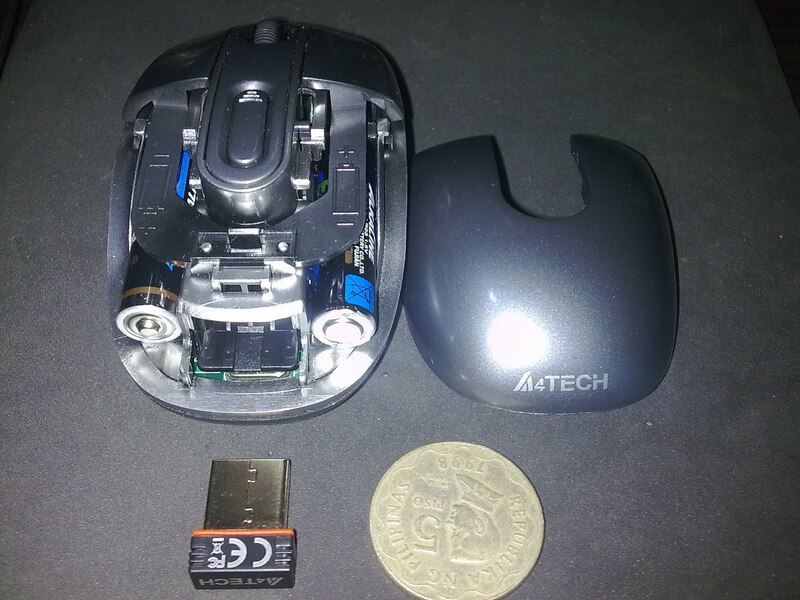 This is the A4tech G7-300 wireless gaming mouse. I bought mine at Electroworld CyberZone, SM North Edsa for P750.00. 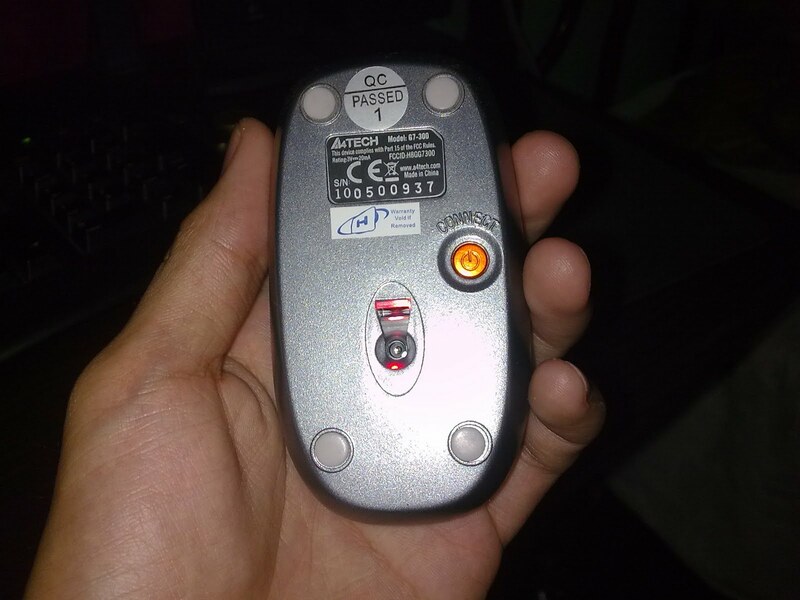 This mouse is plug n play meaning you don't have to install anything on the operating system just to make this thing work. CD included is used only to install the software driver for gestures. The mouse is small, I think it was designed for laptop but according to a4tech's website it's a gaming class mouse. It feels solid/heavy because of the two AAA batteries loaded inside. You can choose from 6 colors (but electroworld has only 3 , white on pink, white on blue and silver). A4tech says that the receiver and the mouse can work up to 15 meters of distance but I haven't tested that yet since we don't have a room here larger than 15 meters. I can test it through other rooms but i can't say if the test is reliable since there are walls in between that might affect the signals. Connection is RF frequency (old school) and not bluetooth by the way. 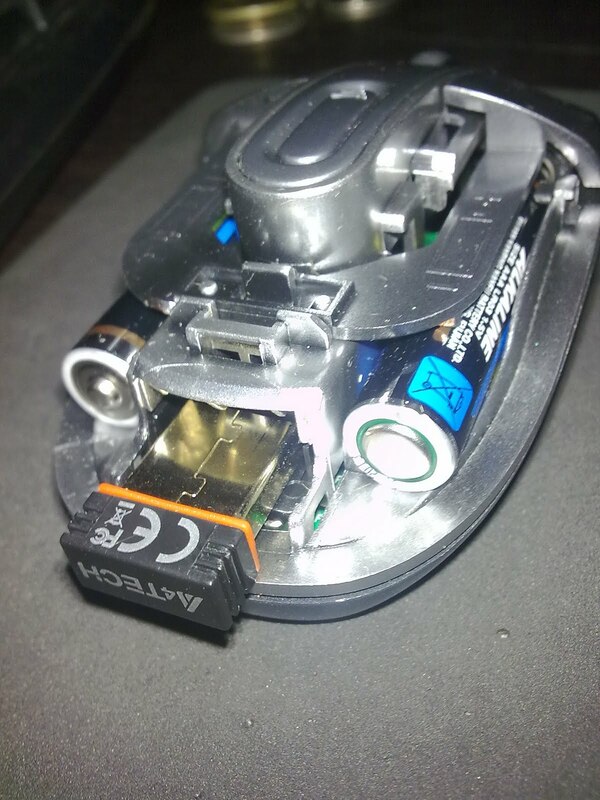 The mouse is not rechargeable. You can only insert any 2 AAA batteries (rechargeable or not). I don't have any idea about the battery life but I'm sure it's more than 1-2 months. 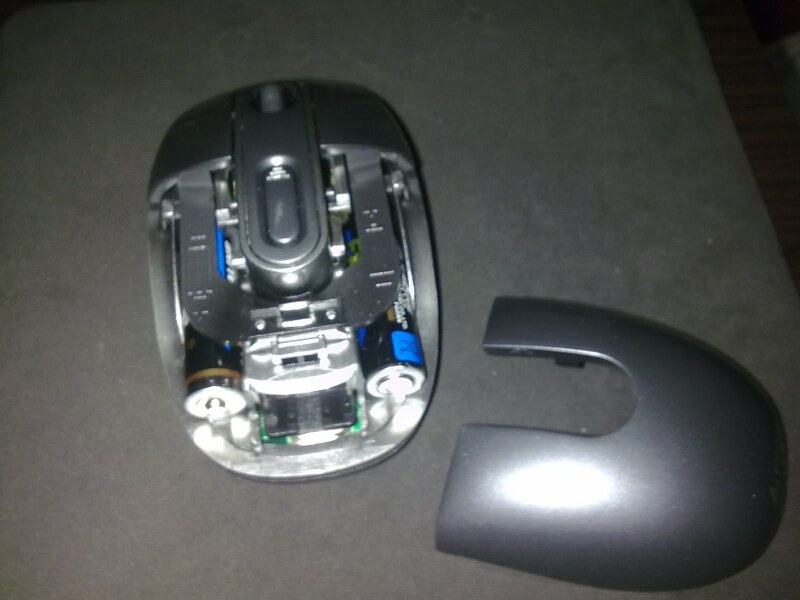 The mouse turns off automatically if the pc is off. You can also turn off the mouse manually by pressing the power button once. Turn on by holding the power button for atleast 3 seconds. 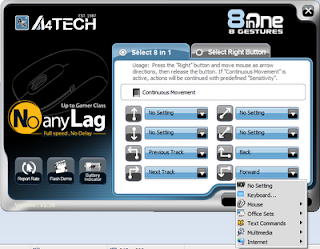 You can configure up to eight (8) gestures for use. Gestures work by holding the right button of the mouse and then drawing a line similar to the preset gestures on the picture below. Tried the gesture and it works pretty much on every page or screen. 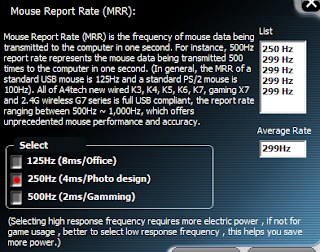 You can also change the frequency and report rate of the connection to avoid interference and improve sensitivity and performance - which i think will affect the battery life if always set to gaming. It comes with 1 year limited warranty. (I'm not sure what limited warranty means). - Electro world offers 1 week shop warranty. 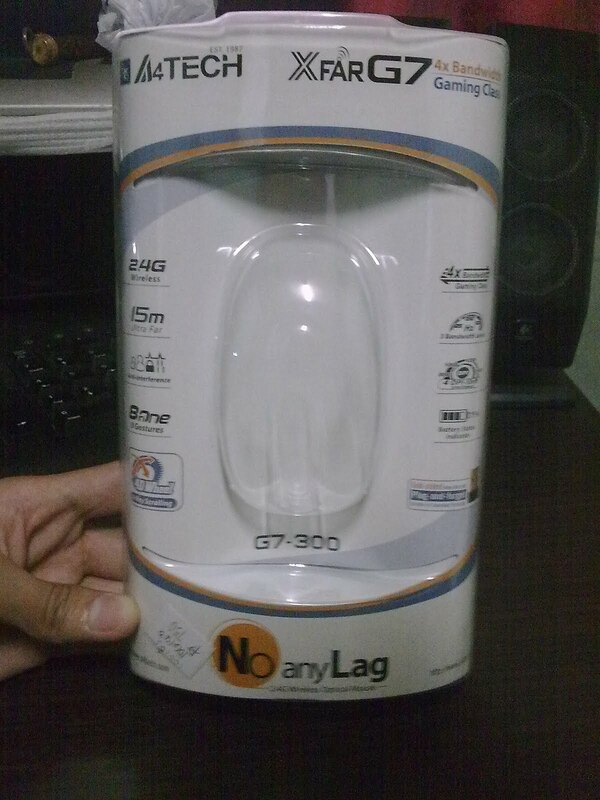 It feels a little bit cheap because of the packaging and built (not boxed, plastic only with description) but for P750.00 it's not that bad. Actually, it's one of the cheapest branded wireless mouse on the market (by the way I like the durability of a4tech and logitech mice). 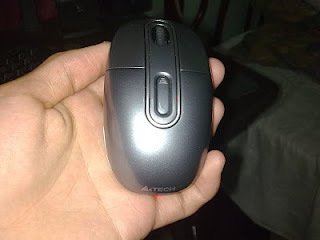 I'm just having a hard time using the mouse since its really small compared to my previous logitech desktop pro mouse.Maybe after few days of usage I'll be used to it. I still can't say if this is the best deal wireless mouse for its price range cause I haven't tried the genuis' line of wireless mice (they have plenty wireless mice ranging from P700-P900) and is not interested on doing so also cause they look cheaper with a4tech's and I had a bad experience with genius' devices before. 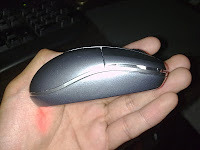 If you are also using a wireless mouse, spit out your recommendation on the comments section. Have you seen the latest ergonomic mouse reviews for work? I fell in love using it. 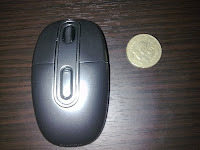 It's speedy, very responsive, ergonomic and you will feel comfortable using it.